Aaron attended an alternative high school for underachieving students. School was not his primary focus; instead, his friends and social life were his priority. He eventually applied to Santa Rosa JC without much enthusiasm or confidence. It soon became clear that this was his life and he had to decide what he was going to do with it. So Aaron took advantage of the support services at the JC and was referred to Literacyworks Center. He became one of our stellar students; his confidence and determination are growing as his natural leadership skills emerged not only in the Literacyworks program, but also in other programs on the Petaluma campus. He worked extremely hard both in his schoolwork and his on-campus job. Aaron told a group of participants at a workshop, “that it’s great to know Literacyworks has my back.” At another meeting, he talked of getting a law degree so he could have a positive impact on the lives of others. Aaron graduated in Spring semester 2018 with an AA in Sociology. He reported he had been accepted to UC Berkeley with a full scholarship and started this Spring semester as a Junior. He is the first in his family to attend college, but he said he would not be the last. Aaron’s commitment now is to serving other young people so they could avoid the difficulties he experienced in high school. After completing his education, he plans to create a program that supports youth and help them stay out of gangs. The Literacyworks staff asked Aaron to take the lead in establishing a Literacyworks Center alumni organization that will honor our student’s accomplishments, inspire them to follow their dreams, and create the future they want for themselves. He has agreed to make time and to give back to the Center. The Center staff has conducted two well-attended workshops since the turn of the 2019 year. We addressed issues of study skills, decision-making, time management, and collaborative learning. We presented the idea of having an online resource page and directory of Literacyworks students so they could arrange meeting in small groups. The students liked the idea. One student asked for tutoring in math, and another student agreed to help. One student that graduated in January came to the workshop to show off his new Sonoma State ID card. He wants to become a teacher. Another student that had to stop out for the fall semester brought her beautiful new baby son to the workshop. The staff is currently gearing up to start the one to one interviews with all one hundred and ten students. This process of individually interviewing each student has proven to be an invaluable and informative part of enhancing the program’s success. Cherríe L. Moraga is a writer and an activist. A cofounder of Kitchen Table: Women of Color Press, Moraga co-edited the highly influential volume This Bridge Called My Back: Writings by Radical Women of Color in 1981. A former Artist-in-Residence at Stanford, Moraga was recently appointed a professor in the Department of English at UC-Santa Barbara, where, with her artistic partner Celia Herrera Rodriguez, she will institute Las Maestras Center for Chicana and Indigenous Thought and Art Practice. She is the recipient of a National Endowment for the Arts Theatre Playwriting Fellowship Award and a Rockefeller Fellowship for Literature. David Brooks became an Op-Ed columnist for The New York Times in September 2003. His column appears every Tuesday and Friday. He is currently a commentator on “PBS NewsHour,” NPR’s “All Things Considered” and NBC’s “Meet the Press.” He is the author of “Bobos in Paradise: The New Upper Class and How They Got There” and “On Paradise Drive: How We Live Now (And Always Have) in the Future Tense.” In March 2011 he came out with his third book, “The Social Animal: The Hidden Sources of Love, Character, and Achievement,” which was a No. 1 New York Times best seller. Mr. Brooks also teaches at Yale University, and is a member of the American Academy of Arts and Sciences. Thank you to our Judge’s Panel for ‘Straight Up’ 2018! Pre-sale tickets $35 per person Get your tickets here! Daniel Ellsberg is an American activist and former United States military analyst who, while employed by the RAND Corporation, precipitated a national political controversy in 1971 when he released the Pentagon Papers, a top-secret Pentagon study of U.S. government decision-making in relation to the Vietnam War, to The New York Times and other newspapers. His new book, “The Doomsday Machine,” is an eyewitness expose of the dangers of America’s top secret, seventy-year-long nuclear policy that continues to this day. 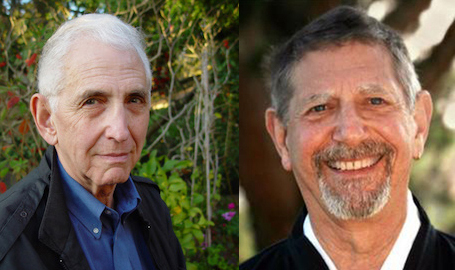 Peter Coyote is an accomplished actor, author, director, screenwriter and Emmy award narrator. Go to http://www.literacyworks.org/events for the latest speaker list. The Center has just completed a successful spring semester working with our Santa Rosa Junior College students. Staff initiated a new program of interviewing each of our ninety students in an effort to better understand the challenges facing them and develop a clearer view of their goals and aspirations. The themes running through these sessions included a deep sense of gratitude for the opportunity to continue their education and appreciation for the Center’s support and the fine faculty at the SRJC. When asked what advice they would give someone just starting college, this diverse group of folks uniformly said versions of ‘Never give up. Work hard. Hang in there, it’s worth it.’ We discovered that the October fires impacted our students much more profoundly than we knew. Students lost their jobs losing weeks of income. Some dropped out to support their extended families. One student that is pursuing a certificate in Early Childhood Education lost her apartment, her car and all her family’s possessions. She is now in a new home and continuing her education. This spring, two of our students that started with the Center’s program in Basic Skills classes successfully graduated. One of our students transferred to Sonoma State University. Another student who struggled in high school, was the first in his family to go to college, and lacked confidence in his ability to succeed in college. He participated in Literacyworks for the three years he attended the SRJC. This spring he graduated and was accepted to UC Berkeley with a full scholarship. Santa Rosa Junior College staff and faculty and their excellent educational programs and extensive support services, deserves tremendous credit for changing lives and creating opportunities. We at Literacyworks Center appreciate the open and supportive relationship we share with SRJC in our mutual efforts to support individuals in creating their futures. Petaluma - In sixteen interconnected original stories, award-winning author Greg Sarris takes us through a world which blooms bright with poppies, lupines, and clover; where songs have the power to enchant and rain is a beautiful woman who keeps people's memories in stones. Inspired by traditional Coast Miwok and Southern Pomo creation tales, these stories are timeless in their wisdom and beauty. This series is a fundraiser for Literacyworks Center, a project that assists underserved, low-income, low-literacy adult students and their families with maneuvering and solving the educational, logistical and personal challenges they face to stay in school or succeed at work. Robert Bernard Reich is an American political commentator, professor, and author. He served in the administrations of Presidents Gerald Ford, Jimmy Carter, and Bill Clinton. He was Secretary of Labor from 1993 to 1997. His new book, “The Common Good,” is focused on why we must restore the idea of the common good to the center of our economics and politics. Congresswoman Lynn C. Woolsey is a former U.S. Representative for California's 6th congressional district serving Marin County and Sonoma County from 1993 to 2013. Chilean author Isabel Allende won worldwide acclaim when her bestselling first novel, "The House of the Spirits", was published in 1982. Since then, she has written 22 more works. Allende’s books, all written in her native Spanish, have been translated into 35 languages and have sold nearly 70 million copies. 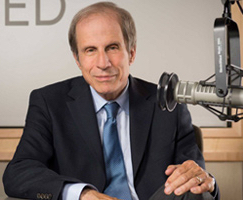 Michael Krasny is the host of KQED’s “Forum” program as well as a renowned author and educator. We are growing the Literacyworks Parents as First Teachers: Engaging Families to Increase Children's Literacy program by partnering with Petaluma People services, the SRJC Robert A. Call Child Development Center, and the Sonoma County Library Petaluma branch to work with low-literacy, low-income bilingual parents and children by training parents in the basic skills to encourage their children to become avid readers and writers. Our workshops are helping parents view their parenting role in a positive manner, have appropriate expectations of their children's achievements, prepare their children with the necessary skills to be successful in school, and establish and maintain positive relations with community resources, including libraries, schools, and community groups. For more information go to www.literacyworks.org. In an effort to better serve Center students, staff has introduced a new program component. We will meet each student individually with a list of questions intended to deepen our understanding of the challenges, obstacles and opportunities facing the student. Our goal is to assist them in taking full advantage of the considerable support services available at Santa Rosa Junior College. The further aim of this effort is to collect data that will allow the Center to do an analysis of the program's effectiveness. Literacyworks Center is a demonstration project that could be replicated at other Community Colleges. The Center’s mission is to assist individuals with low literacy and who are low income get into college, and then support them in realizing their personal and professional goals. Now in our fourth year, our students have improved their academic skills and have gain confidence in their abilities. The persistence rate of the program is 90% which is higher than the norm. This means we have had the privilege watching our students take on the greater academic challenge of a traditional college curriculum. The purpose of this grant is to support our students and others in overcoming the obstacles created by the fires and to assist them in staying in school at SRJC. We requested funding to assist our low literacy, low income hard to serve adult students cope with issues created by the recent fire and continue with their college education. We will use this grant for additional workshops in stress management, financial planning, community resources and resource navigation, parenting around trauma, time management, and study skills; provide funding for transportation and childcare in order to help our students overcome their fire related obstacles and stay in school; and to support outreach/assessment efforts to increase our enrollment of low literacy, low income adults impacted by job loss due to the fire by ten or more students. Offering these additional resources is crucial in keeping our students in school. Once a hard to serve student drops out the statistics show very few return. Our response to the fire was to reach out to our 90 students to understand the impact it had on them, their families, their neighbors and friends. With this information, we have developed a set of actions to mitigate the effects with the goal of keeping them in school and improving their options for employment. Also, our goal is to help others they know who were impacted by opening our workshops and services to their families and friends. The grant will supplement our current efforts. The North Bay Fire Relief Fund (NBFRF) was created by Redwood Credit Union Community Fund to support the immediate needs of North Bay fire survivors in the four impacted counties of Sonoma, Napa, Mendocino and Lake. The Fund was created in partnership with The Press Democrat, Senator Mike McGuire and the Redwood Credit Union. Robert Bernard Reich is an American political commentator, professor, and author. He served in the administrations of Presidents Gerald Ford, Jimmy Carter, and Bill Clinton. He was Secretary of Labor from 1993 to 1997. His new book, “The Common Good,” is focused on why we must restore the idea of the common good to the center of our economics and politics. Congresswoman Lynn C. Woolsey is a former U.S. Representative for California's 6th congressional district serving Marin County and Sonoma County from 1993 to 2013. Tickets for "Robert Reich in Conversation with Lynn Woolsey" will go on sale Monday, March 12, 2018. Literacyworks Parents as First Teachers: Engaging Families to Increase Children's Literacy program works with low-literacy, low-income bilingual parents and children by training parents in the basic skills to encourage their children to become avid readers and writers. The goal is to help parents view their parenting role in a positive manner, have appropriate expectations of their children's achievements, prepare their children with the necessary skills to be successful in school, and establish and maintain positive relations with community resources, including libraries, schools, and community groups. Workshops are held throughout Sonoma county and the North Bay. We have two successful workshops under our belt so far with two more planned through summer. Happy New Year from the Literacyworks Staff! Includes sampling of all Candidates Cocktails, Tasty Snacks, Your All-Powerful VOTE & FUN! Go to http://www.literacyworks.org/events for more information. The 2018 Literacyworks Lectures is getting even better! We now have a collaboration with Copperfield’s Books to bring nationally recognized authors to the North Bay. The new lecture series, Literacyworks and Copperfield’s Books Presents, is a fundraiser for the Literacyworks Center, a project that assists underserved, low income, low literacy adult students in solving the many educational, personal and logistical challenges they face to stay in school and succeed in work. It is the goal of the Literacyworks and Copperfield’s Books Presents series to promote thoughtful consideration and civil discourse on the importance of literacy and lifelong education in all its various forms. Our focus is how literacy and lifelong education transform lives. We ask our featured speakers to speak on their recently published books and incorporate the importance of education in life’s challenges. We hope that engaging our community through distinguished speaker events will provoke, further, and improve actions taken in our society to support and participate in lifelong learning. Steven Pinker (Monday, March 12, 2018, Copperfield’s Petaluma store) is an experimental psychologist who conducts research in visual cognition, psycholinguistics, and social relations and writes for publications such as the New York Times, Time and The Atlantic. His current book is “Enlightenment Now: The Case for Reason, Science, Humanism, and Progress". Isabelle Allende (in Conversation with Michael Krasny April 2018, Carole Ellis Auditorium, SRJC Petaluma Campus) is a Chilean author who has written 22 books (all written in her native Spanish and translated into 35 languages) and has sold nearly 70 million copies. Michael Krasny is the host of KQED’s “Forum” program as well as a renowned author and educator. Ken Auletta (June 2018, Carole Ellis Auditorium, SRJC Petaluma Campus) has written Annals of Communications columns and profiles for The New Yorker magazine since 1992. He is the author of eleven books, including five national bestsellers. His latest book, “FRENEMIES: The Epic Disruption of the Ad Business (And Everything Else)” will be featured at the event. As the holiday season closes the year, the presents are offered, the warm friendships renewed, meals together and traditions continued; I am brought to reflect upon the things we have done this year and the thing still to be done. As the last guest leaves the house on New Years Eve and the fire was beginning to flicker, I stepped out into the cool brilliance of a winter night with a great moon creating shadows in the meadow. We have the opportunity in this life to make a difference, to reach out to offer a hand, a smile for someone who needs one, a chance for someone who hasn’t had one. At a recent workshop with our students, a mother had brought her 2 year old. The child was interested in the strawberries we offered and she carefully moved across the room to get another, each time checking with her mother for permission. As the individuals shared their stories, as we do at most workshops, the mother offered a perspective to the single members of the group. She said, "I have four children. I was in college a few times before, but each time I became pregnant I had to drop out. For those of you who can, stay in school and finish before you start a family. It will increase your chances and your children’s as well. Another student said she had studied accounting a long time ago in Mexico and now she wants to become a CPA. We discussed what that would take and how long it would take. I realized my personal accountant would be a perfect mentor for this student and in this new year it will happen. Each of us has so much to offer, insights to share and practical advice and experience to offer. We at Literacyworks Center invite you to join us in changing lives one at a time. Please contact us with ideas, questions and suggestions, if you have some time. Happy New Year to each of you. #10. Literacyworks Board: We sincerely appreciate the support and wisdom of our Literacyworks Board: Elizabeth Howland, President, Eric Backman, Secretary, William Soper, Treasurer, Jeff Asher, and Gloria Cruz McCallister. #9. The Literacyworks Center: The Center had a total of 182 students participate in the program in 2017. We handed out the Adult Literacy Award (thank you anonymous family foundation) to all our students, administered through Santa Rosa Junior College's Scholarship Programs office. To date, the Center has a less than 10% student dropout rate compared to a historically 60% dropout rate for this at-risk population at community colleges. This demonstration project is proving that we can make a difference in keeping low income, highly motivated adults stay in school and become career and college ready. #8. Literacyworks Lectures: We've a great series of speakers for our series starting off the year with Brian Fishman - counterterrorism expert, author and lecturer - on June 11, 2017. We then had Michael Krasny - author, professor and host of KQED Forum - August 20, 2017. Finally, Ambassador Ted Eliot Jr. (ret.) was in conversation with Dr. Donna Brasset-Shearer, a cultural anthropologist with a background in international relations, discussing US foreign policy in Afghanistan, Iran, North Korea and the Trump Administration on December 3, 2017. Ambassador Eliot is a retired Foreign Service officer who served in the American embassy in Iran and headed the Iran Desk in the Department of State 1963-69, and was Executive Secretary of the Department 1969-73, U.S. ambassador to Afghanistan 1973-78 and Dean of the Fletcher School of Law and Diplomacy at Tufts University 1978-85. Starting in 2018, Literacyworks Lectures will be evolving into the Literacyworks and Copperfield's Books Presents lecture series, a collaboration with Copperfield's Books to bring prestigious authors to Sonoma starting in March with Steven Pinker, an experimental cognitive psychologist and a popular writer on language, mind, and human nature. Our second lecture is with Isabel Allende in conversation with Michael Krasny in May. Big thanks to our staff, students, volunteers and many sponsors who make this fundraising event inspiring and profitable. #7. Literacyworks Professional Development: We are providing professional development opportunities to ABE and ESL professionals with access to over 130 researched-based ABE and ESL PD workshops and with over 40 National Subject Matter Expert trainers in adult education and literacy topics. This year we had contracts with Arizona, New Mexico and California. #6. Congresswoman Lynn Woolsey: Lynn is our Literacyworks Center founder/partner and Honorary Board Chairperson. She continues to be our biggest supporter. #5. Founding Friends of the Center, the Friends of the Literacyworks Center and Program Partners: Again in 2017, many people and organizations helped to make Literacyworks and the Center successful including the Federated Indians of Graton Rancheria, Santa Rosa Junior College, Center Point, North Bay Children’s Center, West Marin Community Services (Pt. Reyes Station), and our Center donors, both individuals and organizations, including Codding Foundation, Federated Indians of Graton Rancheria, Marin Community Foundation, Clover Sonoma, Bank of Marin, Community Foundation Sonoma County, Dollar General, AT&T, PG&E, Xandex, KRCB, Jackson Family Wines, The W Foundation, Sobel Communications, Fishman Supply, Bank of Marin, WestAmerica Bank, Amy's Kitchen and Schwab Charitable Giving. #4. SRJC: The Petaluma Campus staff and administration have been very supportive of the Center with particular thanks to Jane Saldana-Talley, Vice President, Petaluma Campus, whose assistance was and is invaluable, Matthew Long, Dean of Student Services, Catherine Williams, Dean of Instruction and Enrollment Management, and Yesenia Rodarte-Hurtado, ELL Outreach Coordinator. The SRJC Santa Rosa campus staff has been great to work with also. Thanks to Frank Chong, President/Superintendent, Rachael Cutcher, Manager of Scholarship Programs, Cathy Prince, Dean of Instruction & Strategic Program Development and the Hispanic Serving Institution programs, and Enedina Vera, HEP recruiter. #3. Our Center participants: This 2017 Spring and Fall Semesters, 182 of our adult students received our Adult Literacy Awards to assist them in school and have enrolled to date. Many more are scheduled to sign-on in the Spring Semester 2018. Also, high-fives to our volunteer tutors who will start helping our students succeed with one-to-one tutoring in 2017. #1. YOU: We are mostly grateful for all the Literacyworks supporters, both anonymous and public, and particularly you! P.S. Today, we launched our 2017 Year-End Campaign. Our goal is to raise $25,000 in order to keep receiving the donor’s scholarship funding by matching it with funding for staff and operations. This will allow us to reach our goal of to help 200 motivated low-income low literacy adults get on our program in 2018. We can’t do it without your help. Will you make a gift? To make your donation now, go to http://www.literacyworks.org/donate or contact Rita at rita@literacyworks.org to be mailed a remittance envelope. We are pleased to announce an afternoon with special guest Ambassador Theodore “Ted” Eliot Jr. (ret.). Ambassador Eliot served in the American Embassy in Moscow in the mid-‘50s at the height of the Cold War; in the American Embassy in Tehran the mid-1960s and for four and one-half years as Ambassador to Afghanistan. He then became Inspector General of the State Department. He was named Dean of the Fletcher School of Law and Diplomacy at Tufts University. Time: 3:45 p.m. to 5 p.m. This fundraiser will support low literacy, low income, highly motivated adults in the North Bay to access community college and technical education programs by providing scholarships, advising and support. General Admission: $25. Seniors: $20. Free for students. For more information email info@literacyworks.org. MICHAEL KRASNY LITERACYWORKS LECTURES EVENT Well Received! Dr. Krasny gave a well received lecture on the state of US education to a large crowd on Sunday, August 20, 2017 at the Santa Rosa Junior College Petaluma campus (Carole L. Ellis Auditorium). Thanks to our sponsors, volunteers, and supporters in making Literacyworks Lectures a success! Photo: SRJC President Frank Chong, Congresswoman Lynn Woolsey, Michael Krasny at lecture. 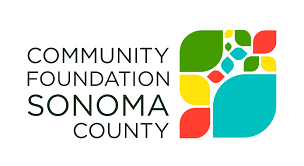 Literacyworks received $50,000 from the Sonoma Wine Country Auction Fund the Future grant (through Community Foundation Sonoma County) competition for our project, Parents as First Teachers: Engaging Families to Increase Children's Literacy at the Literacyworks Center. This pilot program's goal is to improve the literacy skills of our Center's bilingual parents and children through a combination of access to resources in the home and the community and by training parents in the basic skills to encourage their children to become avid readers. The goal is to help our parents view their parenting role in a positive manner, have appropriate expectations of their children's achievements and establish and maintain positive relations with community resources, including libraries, schools, and community groups. Literacyworks has been an early adopter in believing that children’s first teachers are their parents. We work with educational and literacy programs, including family literacy programs that serve children under 5, in libraries and community based organizations, throughout California and the Nation. Because children develop reading and writing skills as they grow, family literacy takes place during daily routines in life as parents, children, and family members use literacy at home and in their community. In our efforts to further support our students, staff conducted a workshop on the Petaluma Campus of the JC on the Sunday before classes started. It was well attended and students were engaged and excited about the upcoming semester. As our students attend college for a number of semesters and started taking more classes, it is clear they are more relaxed and engaged in the campus community. The focus of the workshop was assisting students in accessing their personal information on the college’s on-line portal. We also discussed the importance of working with the college’s counseling faculty and developing an Education Plan. Immediately after the workshop, students were invited to attend the Center’s speaker series. Michael Krasny was the featured speaker and the topic of his talk was appropriately focused on education. September 19: Talk Like a Pirate Day celebrates the history and speech from the Golden Age of Pirates. September 14, 1741: Composer George Frederick Handel finished Messiah after working on it nonstop for 23 days. September 9, 1776: The United States came into existence as the Continental Congress changed the name of the new American nation from the United Colonies. We are pleased to announce an afternoon with special guest Michael Krasny. Dr. Krasny, PhD is host of the award-winning KQED FORUM, a program discussing news and public affairs, current events, culture, health, business and technology. He has published a great deal of fiction, literary criticism and political commentary. A professor of English at San Francisco State University, he has been Visiting Professor at the University of San Francisco, Adjunct Professor at the University of California San Francisco and taught in Continuing Education at Stanford University, as well as being an Associate of the San Francisco Urban Institute. He lives in Marin County. This timely event for the Literacyworks Center will feature a Center student, community partners and keynote speaker Michael Krasny. Our first Literacyworks Lecture took place in October 2016, with actor, author and speaker Peter Coyote. It was such a success, both as a fundraiser and a community learning experience, that we decided to expand in 2017 with a series of three lectures. Go to www.literacyworks.org/events for more information. Literacyworks Center had its most successful year to date. The Center supported 85 students in the fall semester and 91 in the spring. We continue to maintain a wait list of qualified students. The maximum number of students the Center can serve is based upon total funding available for scholarships. The Center’s goal, to achieve the highest course completion and persistence rates possible, is being achieved since we averaged a success rate of over 90% for this past year, well above other college programs serving similar students. The Center is making a commitment to all the students we serve for as long as they stay enrolled or until they attain their academic goals. July 20th Moon Day: Commemorates the day man first walked on the moon in 1969. The Apollo Space program, begun by President John F. Kennedy, was created to put the first man on the moon. Apollo 11 fulfilled that dream, carrying astronauts Neil Armstrong, Michael Collins, and Edwin Aldrin, Jr. What an amazing and historic event it was! On July 16, 1969, Apollo 11 was launched from Cape Kennedy Space Center atop a huge Saturn V rocket. On July 20, 1969, the Lunar Module, nicknamed the "Eagle", touched down on the surface of the moon at Tranquility Base. Upon landing, Apollo 11 Commander Neil Armstrong reported "The Eagle Has Landed". A few hours later, Neil Armstrong, stepped off of the Eagle's ladder, placed one foot upon the moon's surface and proclaimed: "That's one small step for a man, one giant leap for mankind". The birthstone for July is the Ruby. The birth flower for July is the water lily. The month of July was named after Julius Caesar. We are pleased to announce an afternoon with special guest Brian Fishman. Brian is a counterterrorism expert, a Fellow with the Combating Terrorism Center (CTC) at West Point, a former adjunct professor in Georgetown's School of Foreign Service and Columbia's School of International and Public Affairs. He is the author of the definitive history of the Islamic State: The Master Plan: ISIS, al-Qaeda, and the Jihadi Strategy for Final Victory. He was the Foreign Affairs/Defense Legislative Assistant for Congresswoman Lynn Woolsey. He grew up in Penngrove, CA and graduated from Petaluma High School. This timely event for the Literacyworks Center will feature a Center student, community partners and and keynote speaker Brian Fishman who will speak on the history of ISIS and al-Qaeda and on the importance of lifelong learning in his life. This fundraiser will support low literacy, low income, highly motivated adults in the North Bay to access SRJC programs by providing scholarships, advising and support. General Admission: $25. FREE for students. Center staff have been hosting a series of workshops for our 90 students at SRJC. The topics cover time management, study skills, goal setting and how to register for classes. We are planning to add financial literacy, health literacy and a family parent reading program for pre-schoolers. Joe is one of our popular volunteer tutors who has been helping our Center students succeed at SRJC. He is a retired teacher and principal (principal at Calpella Elementary School, Ukiah Unified School District Principal, and at Piner-Olivet Union School District, Piner Elementary). Joe says one of his most satisfying jobs was teaching kindergarten. May 4 - Star Wars Day. "May the Fourth be with you." Star Wars opened on May 25, 1977. May 28, 1892 - In San Francisco, California, John Muir organized the Sierra Club. May 26, 1897 - Bram Stoker's Dracula novel began being sold in the UK. May 28, 1935 - John Steinbeck's first successful novel, Tortilla Flat, was published. May 17, 1954 - The US Supreme Court handed down an unanimous decision in Brown v. Board of Education of Topeka, ruling that racial segregation in public educational facilities was unconstitutional. Oh, and don't forget Mother's Day is celebrated on the second Sunday. Although referred to since the late 1800s, President Woodrow Wilson proclaimed the first Mother's Day holiday in May 1914. Literacyworks staff and participants have had a fabulous year. We once again (is this starting a tradition?) offer our own Literacyworks “Top Ten List” (in no particular order) of all the great things that happened in 2016 and a few for which we're grateful. #10. LINCS Region 4 Regional Professional Development Center: After 21 years of successful professional development training for the US Department of Education, our LINCS Region 4 Professional Development Center grant ended in September. This final year we conducted over 28 trainings events in 12 states for 621 adult educators, which translated into 4,404 hours of training. As we say goodbye to the RPDC4, we say hello to new business, Literacyworks Professional Development. We are providing professional development opportunities to ABE and ESL professionals with access to over 130 researched-based ABE and ESL PD workshops and with over 40 National Subject Matter Expert trainers in adult education and literacy topics. #9. The Literacyworks Center: The Center had a total of 162 students participate in the program in 2016. We handed out the Adult Literacy Award (thank you anonymous family foundation) to all our students, administered through the Santa Rosa JC Scholarship Programs office. To date, the Center has a less than 10% student dropout rate compared to a historically 60% dropout rate for this at-risk population at community colleges. This demonstration project is proving that we can make a difference in keeping low income, highly motivated adults stay in school and become career and college ready. #8. Peter Coyote, actor, author, director, screenwriter narrator and Literacyworks honorary board member, was the keynote speaker at our Peter Coyote Fundraising Event on Sunday, October 2nd, 2016 on Santa Rosa Junior College's Petaluma Campus in the Carole L. Ellis Auditorium. Big thanks to our staff, students, volunteers and many sponsors who made this fundraising event inspiring and profitable. #5. Founding Friends of the Center, the Friends of the Literacyworks Center and Program Partners: Again this year, many people and organizations helped to make Literacyworks and the Center successful including the Federated Indians of Graton Rancheria, Santa Rosa Junior College, Center Point, North Bay Children’s Center, West Marin Community Services (Pt. Reyes Station), and our Center donors, both individuals and organizations, including Codding Foundation, Federated Indians of Graton Rancheria, Marin Community Foundation, Clover Stornetta Farms, AT&T, Xandex, Jackson Family Wines, The W Foundation, Sobel Communications, Bank of Marin, WestAmerica Bank and Schwab Charitable Giving. #4. SRJC: The Petaluma Campus staff and administration have been very supportive of the Center with particular thanks to Jane Saldana-Talley, Vice President, Petaluma Campus, whose assistance was and is invaluable, Matthew Long, Dean of Student Services, Catherine Williams, Dean of Instruction and Enrollment Management, and Yesenia Rodarte-Hurtado, ELL Outreach Coordinator. The SRJC Santa Rosa campus staff has been great to work with also. Thanks to President/Superintendent Frank Chong, Rachael Cutcher, SRJC Manager of Scholarship Programs, Dean Cathy Prince, Instruction & Strategic Program Development and the Hispanic Serving Institution programs, and Enedina Vera, HEP recruiter. #3. Our Center participants: 162 of our adult students received our Adult Literacy Awards to assist them in school and have enrolled to date. Many more are scheduled to sign-on in the Spring Semester 2017. Also, high-fives to our volunteer tutors who will start helping our students succeed with one-to-one tutoring in 2016. We held our first workshops and attended the SRJC Circle of Honor where our students came with family and friends. #2. Staff: Thanks to our talented Center staff: Chris Schultz and Rita Sorpranith and Literacyworks staff Kelin Backman, Marty Ferrini, and Lisa Thompson. P.S. Today, we launched our 2016 Year-End Campaign. 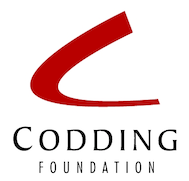 Our goal is to raise $25,000 in order to keep receiving the donor’s scholarship funding by matching it with funding for staff and operations. This will allow us to reach our goal of to help 200 motivated low-income low literacy adults get on our program in 2017. We can’t do it without your help. Will you make a gift? To make your donation now, go to http://www.literacyworks.org/donate or contact Rita at rita@literacyworks.org to be mailed a remittance envelope. 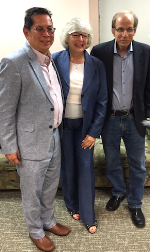 Peter Coyote Event a Success! Peter Coyote speaking on the importance of literacy. Peter Coyote, actor, author, director, screenwriter and narrator of films, theatre, television and audiobooks, gave an inspiring talk on Sunday October 2nd in the Carole L. Ellis Auditorium on the Santa Rosa Junior College Petaluma campus. With over 150 attendees, this event supported our low literacy, low income adults in their quest to acquire basic skills so they can access and complete college programs. Before Peter spoke, Dr. Jane Saldaña-Talley, Vice President of SRJC Petaluma welcomed the crowd followed by remarks by SRJC President/Superintendent Dr. Frank Chong, Literacyworks Honorary Board Chair Congresswoman Lynn Woolsey, Literacyworks Executive Director Paul Heavenridge, and Chris Schultz, Literacyworks Center Director. Our featured student speakers were David Bowen-Farwell from Center Point and Rebeca Gutierrez formally of North Bay Children's Center. Thanks to our Friends of the Center, our Board, volunteers and to all our sponsors for helping make this event a success! Click here for our sponsor list. The article Promoting a path to Scholastic Success: Petaluma Literacyworks Center links Adult Students with Services appeared in the Argus-Courier on 9/22/2016 featuring the Center and one of our students, Petaluman Rebeca Gutierrez. Rebeca has struggled in working on a degree in child development at SRJC while raising her two sons. She credits The Center with helping her remain in the program and achieve success by providing her with our Adult Literacy Award funding and guidance by the Literacyworks Center staff. To read the full article, click on this Argus-Courier link. November was the ninth month of the ancient Roman calendar. November retained its name (from the Latin novem meaning "nine") when January and February were added to the Roman calendar. November is a month of spring in the Southern Hemisphere and autumn in the Northern Hemisphere. There is no mention of the month of November in any of Shakespeare's plays or sonnets. November 2 is the only date on which two US presidents were born: Warren Harding (born 1865) and James Polk (1795). Gettysburg Address delivered by Abraham Lincoln on November 19, 1863. November has been designated National Novel Writing Month and National Blog Posting Month. Always wanted to write a novel? Do it. And do it during the month of November. Add your name at www.nanowrimo.org and commit to writing one 50,000-word novel from scratch. You officially start writing at 12:00:01 am on November 1 and write your last word by 11:59:59 pm on November 30. Mark Twain was born on November 30, 1835. He said: "Age is an issue of mind over matter. If you don't mind, it doesn't matter". Our Fall 2016 Adult Literacy Award Center students, staff, and supporters attend the Circle of Honor on Wednesday, August 17th, 2016 at the Santa Rosa Junior College with Congresswoman Lynn Woolsey Literacyworks Board Honorary Chairperson and Literacyworks Center co-founder. Honoring the generosity of SRJC donors and dedication of SRJC students, the Circle of Honor provides an opportunity for donors to learn more about the educational goals of their student recipients, and for students to express appreciation for their scholarship award. What is the Literacyworks Center? The Center is a project of Literacyworks, an educational non-profit. The Center assists low literacy, low income, highly motivated adults in the North Bay to become career and college ready. The Literacyworks Center helps students succeed by providing scholarships, counseling and support. The Center is a cutting edge, innovative, research-based demonstration program. The Center works with community partners who identify and refer motivated adults. To date, the Center has a less than 10% student dropout rate compared to a historically 60% dropout rate for this at-risk population at community colleges. Learning is power. Information is liberating. Education is progress. Literacyworks is having a benefit with special guest Peter Coyote, actor, author, director, screenwriter and narrator of films, theatre, television and audiobooks, on Sunday October 2nd in the Carole L. Ellis Auditorium on the Santa Rosa Junior College Petaluma campus from 3p.m. to 5p.m. FOR TICKETS FOR GENERAL ADMISSION AND SPONSORSHIPS GO TO BROWN PAPER TICKETS. FOR MORE INFORMATION, CONTACT RITA AT (707) 981-8086 OR INFO@LITERACYWORKS.ORG. Literacyworks Center reached its target enrollment number of 76 students for the 2016 Spring Semester. To date, the Center has a less then 10% student dropout rate compared to a historical 60% drop-out for this at-risk population at community colleges. As the spring 2016 semester comes to an end and Literacyworks Center completes its first year of operation, we have served 76 successful students. Our participants are taking ESL classes, English and GED classes and many are focusing on Early Childhood Education classes. This amazing group of individuals is redefining themselves and their future through education. It is humbling to work with these motivated folks facing significant challenges who now are doing what it will take to improve their literacy skills so they can improve their career opportunities. Some are taking only one class and taking full advantage of Santa Rosa Junior College’s support services, such as tutoring, computer labs and counseling services. The Center’s focus has moved from working with our referral partners to identify motivated adults who qualify for our program, to an emphasis on persistence and success. Much of the staff’s efforts will be directed in individual and small group support to ensure all our students succeed. The retention rate in community college for individuals with low literacy skills is only 40%. All of our students have stayed in school and completed their coursework this semester. We are looking forward to serving more students in the 2016 fall semester and assisting them in reaching their educational goals. It was a breezy early evening on a Friday night when the staff of Literacyworks Center arrived in the town of Tomales on the northern edge of Marin County along the coast. Cristina, a community advocate from Tomales Elementary School, met us with open arms and a bright smile. She, with the help of the West Marin Community Services, the Point Reyes Library Branch Manager Bonny White and the Marin Community Foundation helped make this evening possible. We met and spoke to 12 adults interested in joining our program in the fall. Many of their children were present to share in the presentation. After many questions and a fair amount of translation, we had signed up all 12. The sense of gratitude, excitement, possibility was palpable as we packed up to head back to Petaluma. These motivated individuals were willing to embark on a somewhat intimidating education experience to learn English so they can read to their children, participate in society more effectively and talk to their boss on the ranches where they work. A good day's work. Fly a Kite Day: Ben Franklin's Kite Experiment happened on June 15, 1752. Sand Paper invented by I. Fischer Jr. on June 14, 1834. Typewriter patented by Christopher Latham Sholes, a Milwaukee printer whose first “type-writer” was patented in June 23, 1868. Caldecott Medal first awarded In June 14, 1938. First U.S. Space Walk by Ed White on June 3, 1965. World Egg Day June 10. The first World Egg Day was celebrated in 1996. We've seen the first waves of enrollment at The Literacyworks Center at Santa Rosa Junior College, Petaluma. We can clearly see that the need is great to support adult students in the North Bay.